Happy Fathers Day to everyone in the US who celebrates it! Last weekend I asked my dad if he wanted to do anything for Father’s Day and he said that all he wanted to do is have a boys golf outing. Well, weather wasn’t exactly on his side today so I ended up getting to spend the afternoon with him after all. My dad is a HUGE nature buff. He is all about camping, hiking, fishing, bird watching, and pretty much anything else that will let him be outdoors. He raised me with weekly hikes in the National Park that we lived in (yes, in), and a love for seeing the beauty that is around us. So I knew that I had to wear my favorite color while spending the day with my dad, hiking and bird watching. Essie “Shake Your $$ Maker” is a emerald green neon jelly. Its a deeper emerald but it is still really bright, which my pictures don’t capture! This is definitely one of my favorite colors. 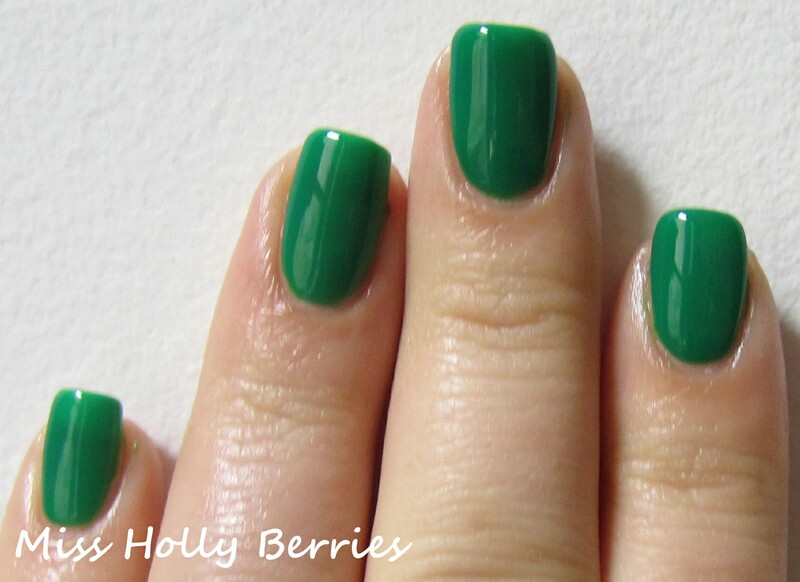 I’m a huge green lover so I knew that I had to have this when I saw Essie’s new collection. However, the formula on this polish wasn’t great. I had no clue this was a jelly when I bought it, so it was a pleasant surprise when I started painting. I love jelly formulas because they are so glossy and you can do so much with them. If you have the patience you can build it up and wear it on its own, you can layer it over lighter or darker colors to get a completely new color, or you can do jelly sandwich manicures. But this formula was just plain hard to work with. All of the pictures above are 4 coats. And you can tell that the 4 coats aren’t even at all. My index finger doesn’t have a visible nail line while my ring finger and pinky have a very noticeable one. The formula was a little thicker than I was prepared for too. The dry time was a little bit long, so this manicure took me about an hour to do. I know that this polish was meant to be worn over white, and I’m showing it on its own. But even if I wore it with white I would be looking at applying 4 coats of polish. You’d need 2 coats of white then at least 2 coats of this to get the color even. I’m going to experiment with some jelly sandwiches to see if I can fall in love with this polish, but right now this isn’t helping to change my mind about Essie. What do you guys think? Do you have this polish? What is your favorite jelly? ← Battle of the Black Holos!! This one is a beautiful shade although a little too light, not “green enough” for my liking, but I’m otherwise just crazy about jelly polishes, can’t have too many of them. But, then, I’m not traumatised by VNL… I quite like them, actually, it would never occur to me to layer jellies over white. There are enough opaque polishes out there, after all. I love Essie nail polishes!!! The color is great! thanks! what is your favorite essie polish?